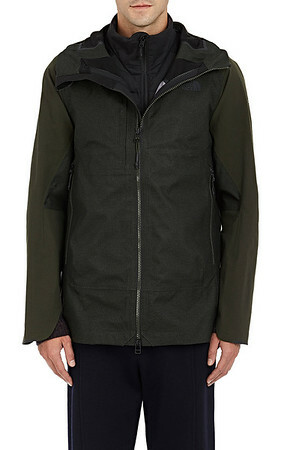 MSRP - $995 Crafted in panels of green micro-check tech-fabric and ripstop, The North Face XO Barneys New York's Triclimate jacket is designed with a removable hood and features a detachable insulated channel-quilted down vest that can be worn together or separately. 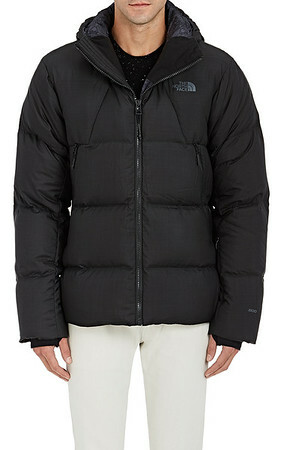 MSRP - $975 The North Face's water-resistant down jacket is crafted of black soft tech fabric and features a detachable toggle hood. 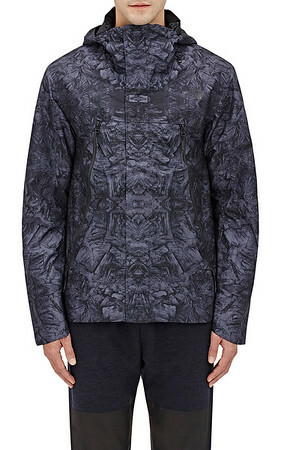 MSRP - $695 The North Face x Barneys New York's black and dark navy abstract-print tech-faille Rain Shell parka is designed with a detachable toggle hood. 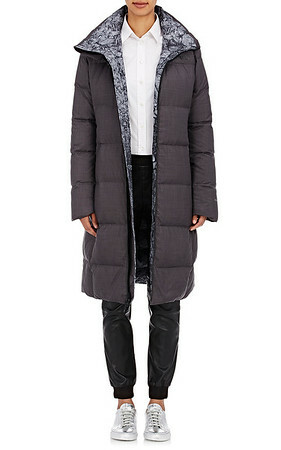 MSRP - $1,200 Crafted of grey tech fabric, The North Face XO Barneys New York's Triclimate jacket features a detachable down-insulated channel- and hexagon-quilted liner jacket that can be worn together or separately. 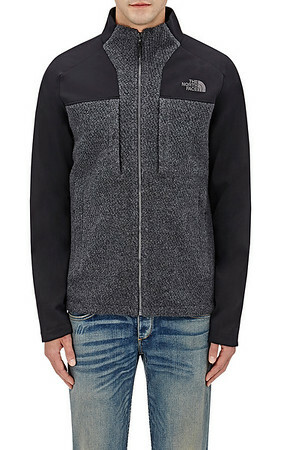 MSRP - $495 Styled with three zip-front pockets, The North Face's jacket is crafted in panels of black tech fabric and grey fleece. 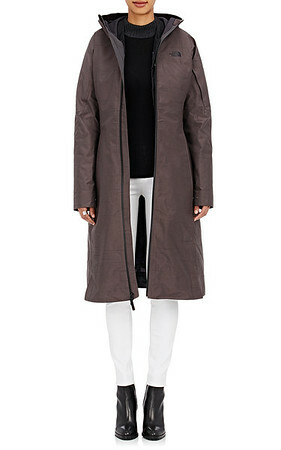 MSRP - $950 Designed with a detachable hood, The North Face x Barneys New York's grey water-resistant tech-fabric puffer long jacket reverses to grey abstract-print tech fabric. 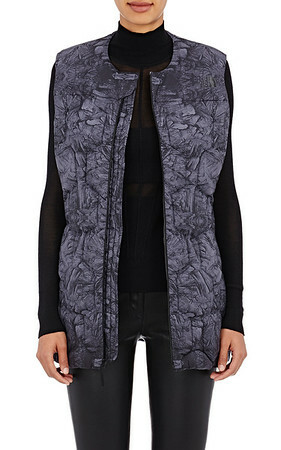 MSRP - $595 The North Face x Barneys New York's grey water-resistant abstract-print tech-fabric puffer vest is designed at front with a hexagon-quilted pattern. 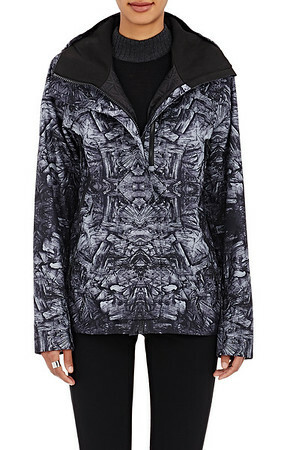 MSRP - $700 The North Face xo Barneys New York's grey abstract-print tech-fabric hooded shell is designed with three zip-front pockets.